Against a backdrop of 12 years of underachievement and crushing disappointment, 2013 will be fondly remembered by Bradford City fans for decades to come. 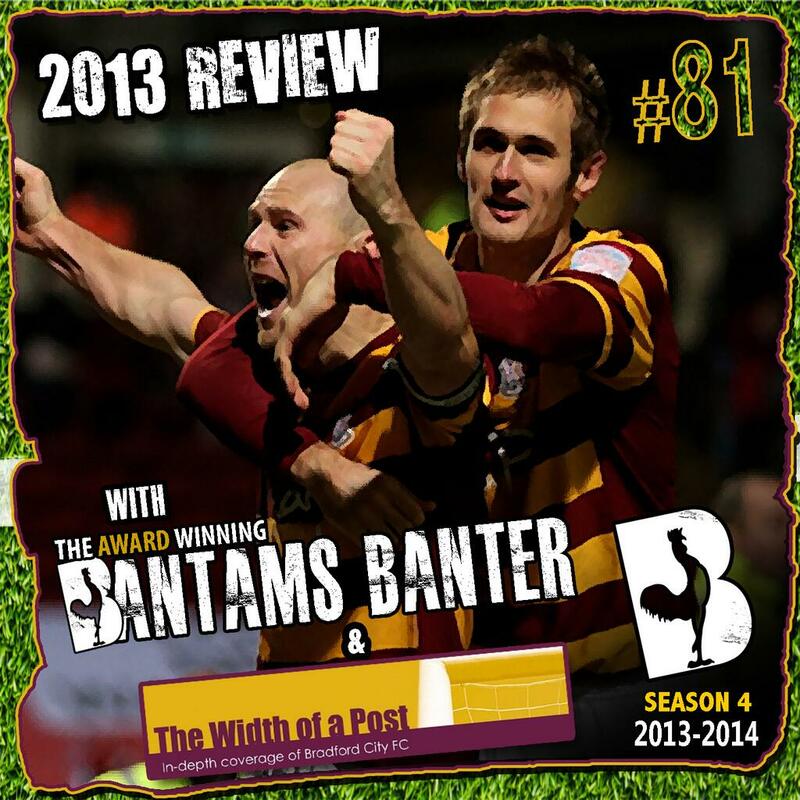 To reflect back on the many, many achievements of Phil Parkinson and his players, Bantams Banter have recorded a special podcast reviewing 2013. Width of a Post was delighted to be invited as guests on the one-hour programme, with writers Gareth Walker and Jason McKeown joining Tom and Dom to re-live the best Bantams Banter clips and share memories of that incredible 12-month period. We’re unlikely to see the like of Bradford City’s 2013 again, so pour yourself a glass and indulge in some recent nostalgia. Click on the image below to listen to the podcast. With respect to the two play off matches against Burton the main difference between the home and away legs was that Andrew Davies was suspended for the first leg after being sent off in the last match of the season against Cheltenham.